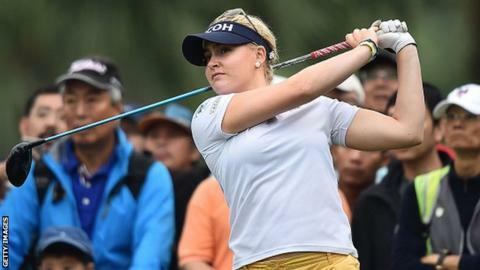 England's Charley Hull slipped to third at the Fubon LPGA Taiwan Championship after a one-under-par third-round 71. Hull, 19, is five shots behind the leader, New Zealand's Lydia Ko, who went sub-70 for the third successive round with a 68. Hull's triple-bogey seven on the 10th, her only dropped shots of the round, cost her badly as she was two shots clear at the time. Scotland's Catriona Matthew shot a 68 to move up the leaderboard into fifth.